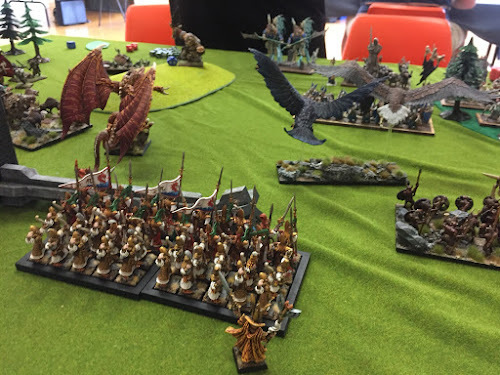 On Saturday we had our monthly KOW day at the local club. We had people bring along 1500 point armies and decided to try out some of the new COK scenarios. Doubles are a great way for players of different skill levels to interact as they tend to be less competitive. They also provide opportunities for wider discussion of rules and tactics. For new players especially, it can be a less intimidating way to learn the game. The other benefit is that it creates a "bigger" game. We had 3000 points a side on the normal 6'x4' table. The extra 50% in points per side allows both reserve lines and greater width in the battle line. This generally makes the game more "cinematic". In our game Orcs and Undead took on Elves and the Herd in Scour. 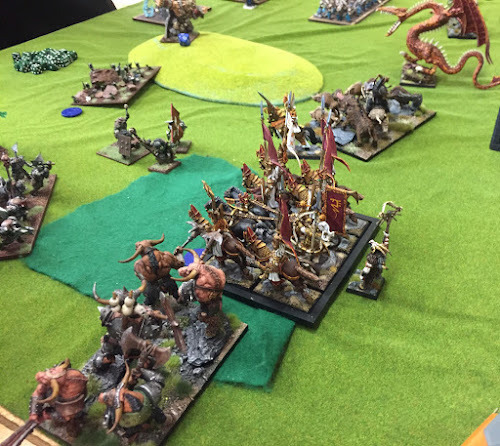 The Elven Herd Alliance was able to remove two Orc Hordes on the flank by hitting them hard - Guardian Brutes and Swordwind into one and a Stampede into the other. This allowed the Alliance to roll up the flank, secure the objective counters then move into the centre. 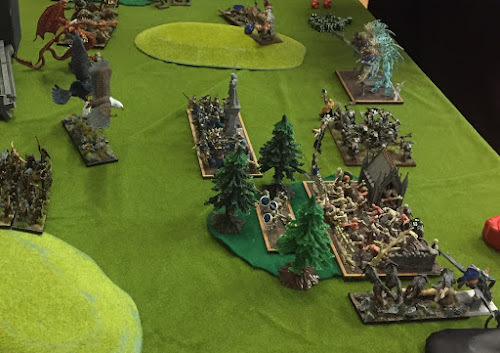 The Alliance Forces Were Victorious on this Flank. There was one great moment in the game on Turn 1. 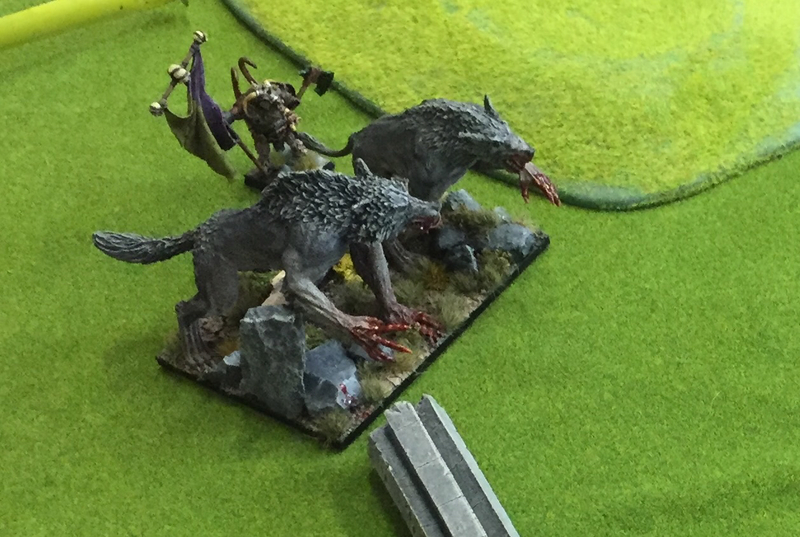 The Orc Skulks had Vanguarded forward and took a shot at the Elven Boltthrower causing one wound. The Orcs then rolled box cars for the Nerve Check (needing 11). Re-roll for Inspired and box cars again.....take it off! Certainly recommend Doubles as a change from "normal" KOW games. Really social and it helps you understand a greater breadth of armies.